VAMLINK is offering NEW Premium VAMs in our Fixed-Price List. Click here to Check them out! 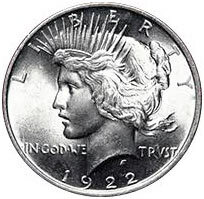 VAMWorld: Attribute Morgan or Peace Dollar VAMs. 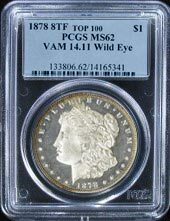 First of all, welcome to VAMLINK, your connection to the world of VAM collecting! Whatever your specific interests, we’re looking forward to providing you with insights into your area of specialization. 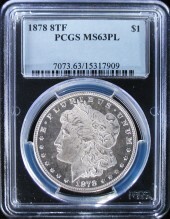 For example, if you’re fascinated, like I am, with 1878 dated Morgan dollars, we’ll have unique reports about 8-tailfeather, 7-tailfeather and 7/8-tailfeather varieties. 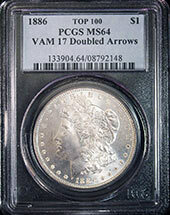 You’ll find charts spotlighting our notes on the die progressions in the 1878-S Set and the latest listings for 1878-CC VAMs. Indeed, our intention is to offer articles, reports and cutting edge information about a host of subjects, much of which you couldn’t find anywhere else. 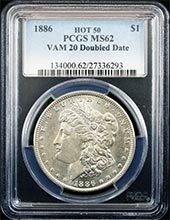 And for those who are looking to acquire ultra-rare VAMs that are rarely, if ever, seen in the grades offered here, we’ve begun a fixed-price list that should take your breath away! 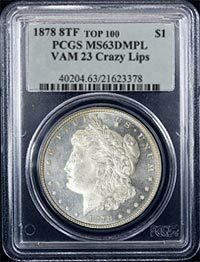 After all, we know what excites VAM collectors because we are VAM collectors! So again, we’re thrilled to have you visit us. All that’s left is to register for complete access to the entire site. And it’s FREE! Register Here. 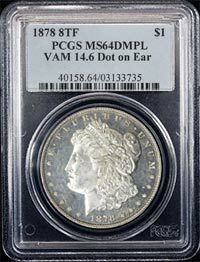 If there’s one thing that aggravates us as collectors buying coins, it’s paying a postage fee that’s ten times what the postage actually is! So, we’ve decided to try this: A fee of $5 will be added to the invoice for each coin sold on our Fixed Price List, without ANY additional fees for Postage, Handling or Insurance. 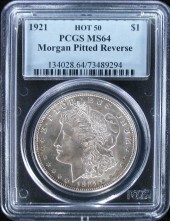 That means that a coin, whether it’s purchased for $50 or $5000, is charged only $5. 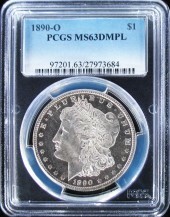 Obviously, in the case of top-end coins the postage and insurance alone could amount to $55, $75 or more. That's our Fixed Price List commitment! VAMLINK ©2019. All Rights Reserved.